DMC, a renowned German tuner specialist kicked back the world's custom supercar to present the fierce appearance of a new modification of the famous Italian Bull, Lamborghini Aventador, that wearing the super fierce costumes entitled 'Edizione GT' stage 3 package which 'was developed with FIA regulations in mind' but still fully street legal. The sharpness of remarkable design was shown again from the hands of the German crew modifier. 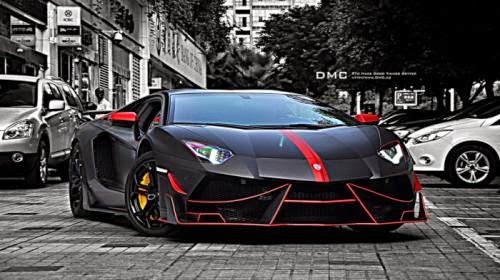 At first glance it seems like the Batmobile, DMC transformed the standard appearance of Aventador with a new style of front and rear bumpers, air scoop, new side skirts, custom suspension and GT spoiler which all use of strong and light carbon fiber. Similarly in the cabin. The interior was given a sporty aura emphasis increasingly thick with carbon fiber accents, Italian leather upholstery, a new design on the steering wheel and a number of additional devices as the support of its driving comfort. 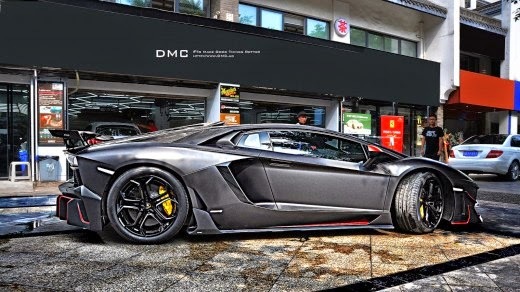 To be commensurate with her new look that more muscular, so DMC also improve its engine performance by pairing a V12 engine that has a capacity of 6.5 liter with twin-turbo conversion and ECU remap. 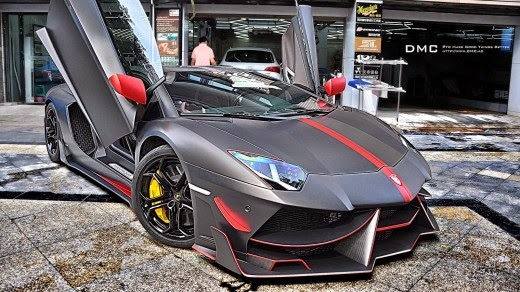 As a result, the output Aventador originally a 700 hp now getting rocketed with a maximum power of 988 hp.